In a perfect world, all vehicle owners would be able to park their cars and trucks in garages. In such a world, automobiles would not be vulnerable to sun, storms and other natural elements that, over time, can contribute to wear and tear. But many drivers cannot or choose not to park their cars in garages. Some are content to let their vehicles brave the elements, while others look for ways to protect their cars and trucks as much as possible. Drivers who count themselves among the latter group can take these simple steps to protect their cars and trucks from whatever Mother Nature has in store for them. · Park in the shade. Parking in the shade can protect both the interior and exterior of a vehicle. Shaded areas protect upholstery and dashboards inside the car from sun-induced fading, while also limiting the damage sun can cause to exterior paint. Faded paint may hurt the resale value of a vehicle, prompting prospective buyers to walk away or at least wonder if a vehicle with a faded exterior was well maintained. · Wash and wax. Washing and waxing a vehicle helps to minimize damage that's inevitable regardless of where drivers park their cars. Dirt and debris litter roadways, and over time cars can collect a large amount of these unwanted stowaways. If dirt and debris are not removed, they can cause long-term damage to vehicle exteriors. Washing and waxing a car can ensure its exterior looks good and reduce the likelihood of rust and other corrosion from occurring. · Don't write off bird droppings. Some drivers, especially those who do not park their cars and trucks in garages, may write off bird droppings as an annoying yet harmless side effect of vehicle ownership. However, bird droppings are acidic and, if left to their unsightly devices, can cause permanent damage to vehicle paint. Tree sap is an equally formidable foe, potentially causing scratching because it can be very difficult to remove without spreading. Specially formulated sprays can help drivers remove bird droppings and sap from their vehicles. · Employ a car cover. Drivers who have garages but use them to store things other than their vehicles can use car covers when parking their cars in their driveways. 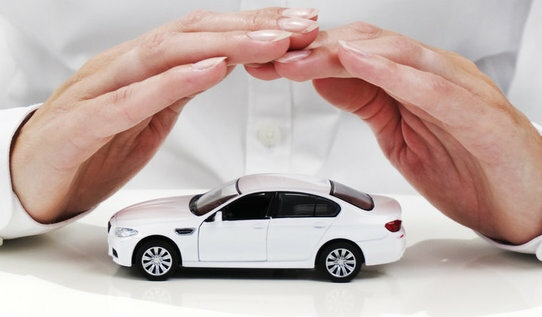 Covers protect cars from the elements and can be quickly and easily removed. Nature can be harsh on vehicles. Protecting automobiles from the elements should be a priority for drivers, especially those who do not park their cars and trucks in garages.